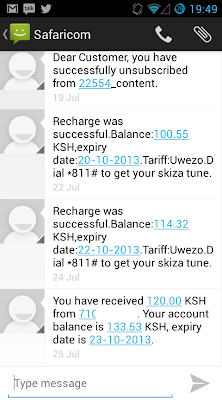 Last time, I told you guys about how some fishy company was deducting my Safaricom airtime, silently. Well, I found the chaps, and found that I wasn't the only one affected by this scam. If you ever owned a StarTimes decoder, and used the *850# , well, guess what, your airtime might be disappearing to some company known as RoamTech. To be clear, StarTimes here might have nothing to do with this, since RoamTech was just their supplier, providing them with the *850# service. The use of the numbers using the service for other purposes might not have been passed through them. Located at the 1st floor of Mayfair Business Centre, just behind Mayfair Restaurant and Casino in WestLands. I then demanded an explanation as to why the chaps have been deducting robbing me of deducting my airtime. Well, the company was migrating to a new system, and in the process, conveniently mixed up their databases, and ended up having the wrong subscribers on the database which is charged KSh. 30 to receive ringtones and other stuff. They duly refunded the KSh. 120 that they had robbed deducted from my account. Now, in the last episode of the saga, Safaricom customer care staff had informed me that all they could do is unsubscribe me from the 22554 content - to get a refund, I had to contact the PRSP, who were not picking up calls. Some caring person from Safaricom later explained that Safaricom, and the rest - Orange, Airtel and Yu - are required by the Communications Commission of Kenya (Serikali) to charge subscribers on behalf of PRSPs, who have a legal contract to take your money. Customer care and other Safaricom staff had also told me that I must have subscribed to the PRSPs services, one way or another - maybe by clicking some advert on the Internet and giving my number. Nope - as I came to find out later, those short codes, *somenumber# are provided by some PRSPs. PRSPs are also notorious for "mixing up their databases" , much in the same way a bartender would mix cocktails, with the result being that people who were using some service end up being billed for a new service. Eg, You may have taken part in "Shinda Smart 6969", with your taking part coming to an end when the competition closed. However, the guy running the competition will "accidentally" subscribe to some ringtone service, which all these guys have. 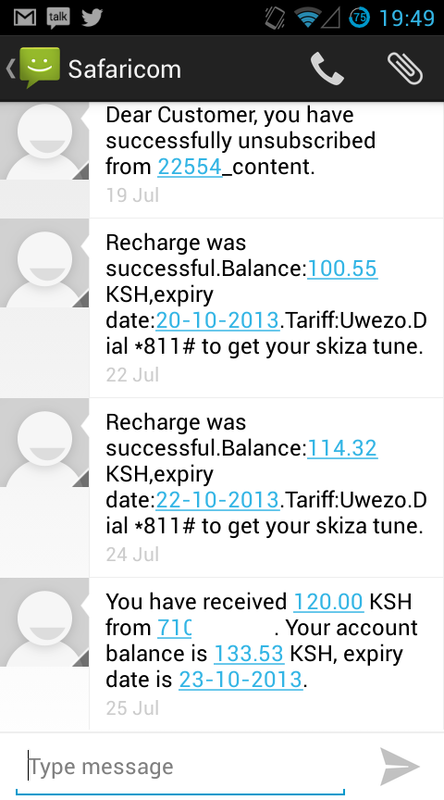 Now, there's something that Safaricom don't want to say. The company came up with a new system, to which they migrated all those on some PRSP service to. To do this, they asked PRSPs to forward the phone numbers they were billing for some services. PRSPs then did some mixology and forwarded all phone numbers they had, including those not being billed for any services. The migration was done in phases over the last three months to June. That explains why a number of people started receiving Spam SMS out of the blue, say, asking them to buy some ringtone or MP3. Those receiving the services were being billed. Investigation reveal that Safaricom came to discover later that the PRSPs had played some nice trick on them when suddenly, there were many people complaining. I gather they noticed this after my complaint, and that now clients are being told that investigations and reversals will be done, without them asking them to contact the company like in my case. Not sure of that though. That explains how Roamtech started billing me, and many others. You can check if you are subscribed to any such services by dialling *100*7*1# on Safaricom. Safaricom Director of Legal Affairs, Nzioka Waita, says that the firm has blacklisted a good number of PRSPs who have been misbehaving. We can only hope that CCK will come up with guidelines to stop PRSPs "accidentally" mixing up stuff.